Buckingham Coatings was contacted by R S Response Ltd to gauge whether a damaged crown on their building could be repaired. 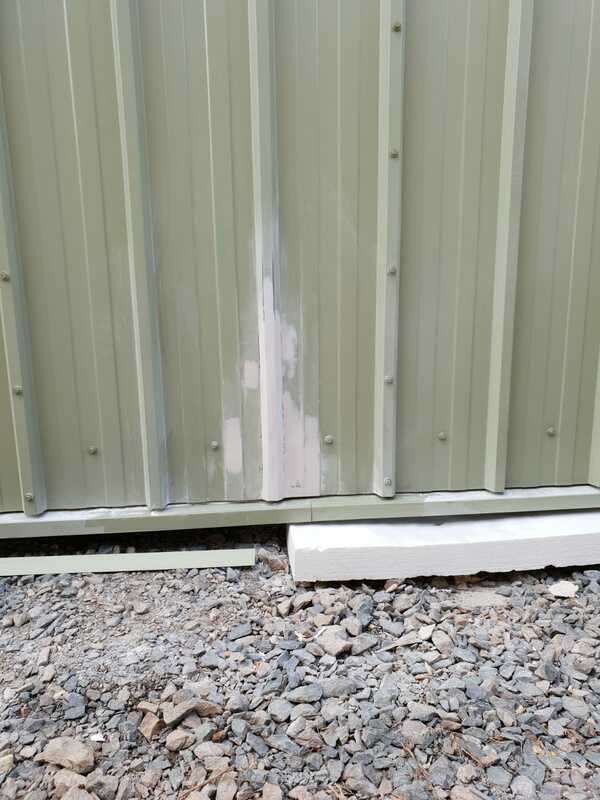 Due to the nature of the damaged cladding, the client was unsure whether it could be repaired so we arranged a free site visit to assess the damage on site. Following our on-site assessment, we discussed the scope of works with the team at Buckingham Coatings and established that we would be able to repair the damage. We were then able to assure the client that it would be possible. The project was set out as two-day works that would be carried out by one of our specialist teams with the necessary experience to repair heavily damaged cladding. On the agreed days our operatives went to the site to set about reconstructing the crown on the damaged cladding panel. This is a slow and meticulous process because you are required to replicate the shape of the existing cladding. However, our specialist materials and skilled techniques that our operatives have mastered over the years, meant that we were able to successfully achieve the shape required to repair the damaged panel. 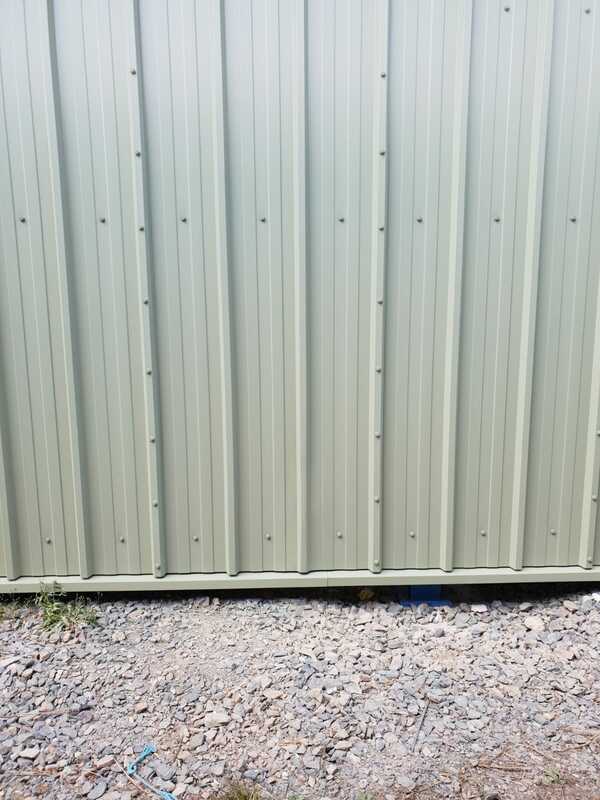 We coated the cladding panels with a paint respray in the RAL colour provided by the client to give a seamless finish. 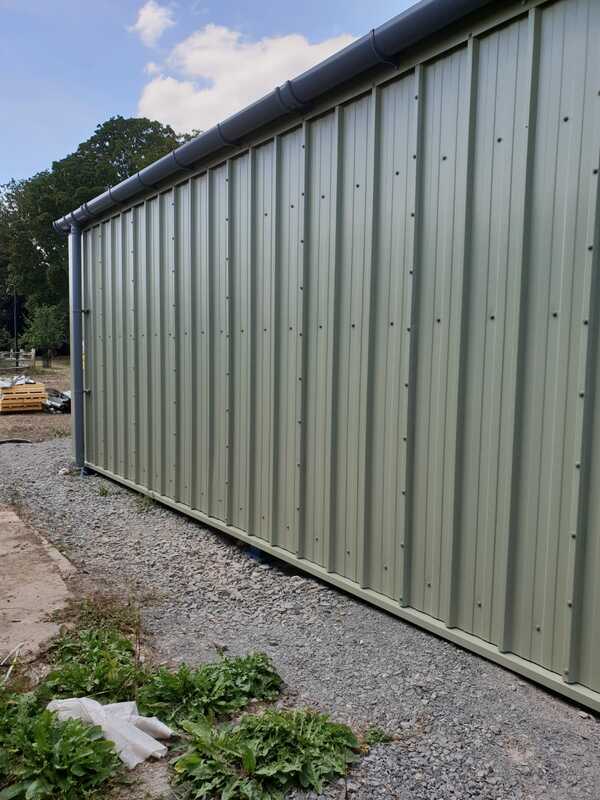 The client was extremely pleased with the end result and we were delighted to see how the repair had blended in perfectly with the rest of the cladding. Do you have damaged cladding that you’re unsure can be repaired? Our team has the expertise to clean, repair and recoat cladding to the highest professional standards. Contact us on 01908 765 009 or by emailing: info@buckinghamcoatings.co.uk to arrange a free consultation. Rebuild and respray cladding that was struck by a vehicle. Prepare all scratches, dents and creases in cladding panels for filling. Fill and apply primer to all affected areas. Apply RAL 12B21 Karaki green/ Moorland green topcoat. New Year. New Cladding Refurbishment.